We are fortunate to have about 30 nesting pairs of osprey at Island Beach State Park (IBSP). These birds mate for life and generally return to the same nest year after year. In the summer of 2014 osprey camera viewers began calling the ospreys in this nest Bay and Bandit. Bay is short for Lady of the (Barnegat) Bay. That summer the original male went missing after a storm rolled through. Bandit arrived at the nest and Bay let him onto the nest and accepted him as a mate. He is a banded osprey who "stole Bay's heart and the nest" - thus the name Bandit. Since their diet is almost exclusively fish, one of the major attractions for these birds to our park is the plentiful supply of fish in the bay. Osprey are remarkably well adapted for fishing. They can see a swimming fish from up to 100 feet above water, have rounded talons with backward-facing scales for grasping the fish, barbed pads on their feet, and can rotate their outside toes to grasp fish with 2 toes on each side of the fish. As they take a meal to the nest they generally turn it head first for an aerodynamic approach. Did you notice the red band on the osprey chick legs? We are fortunate that our chicks are a part of Project RedBand. Since 2014, we have banded a little over 150 young ospreys with red auxiliary “field readable” bands at nests on Barnegat Bay. Unlike the silver aluminum USGS bands, the red bands are readable on birds when they are alive. 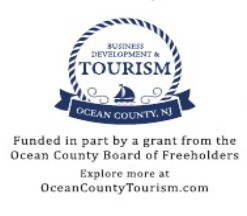 The main goals of Project RedBand are to engage the public in osprey management and conservation along the Jersey Shore. At the same time, while collecting data from re-sightings, we will learn about their dispersal, foraging habits, site fidelity, migration routes, and their life span. The nest and osprey camera are named in honor of Paul D. "Pete" McLain (1926-2014). Pete was a conservationist, hunter, fisherman, writer, and former deputy director of the NJ Division of Fish, Game and Wildlife. His work to bring the osprey back from the brink of extinction is legendary. Let the sight of the osprey in the park serve as a reminder of the powerful impact each of us can have on our environment. Learn more about Pete McLain's work in this video. If you've enjoyed watching the Osprey Cam, we ask you to MAKE A DONATION to help us raise money to support camera. The Osprey Cam brings enjoyment and excitement to both adults and children alike. 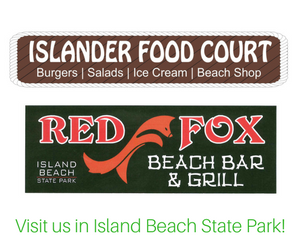 Friends of Island Beach State Park is a non-profit 501(c)3 organization and your donations are tax deductible.